Posted on May 3, 2018 at 1:45 am. April was an incredible month in our Elementary Enrichment Classes. This month, students explored Roman numerals in everyday life, Aboriginal art, and practiced their recorders while playing along with recorded music. Let’s take a look inside the enrichment classrooms for this month. In Art, students are moving along the timeline of art styles and techniques. This month they explored different cultures and the art they create. Students began with creating designs of animals and symbols on fabric, much like the traditional embroidered designs in Panama. Then students explored the Aboriginal “dream stories” of Australia where they painted animals and symbols using only brightly colored dots. 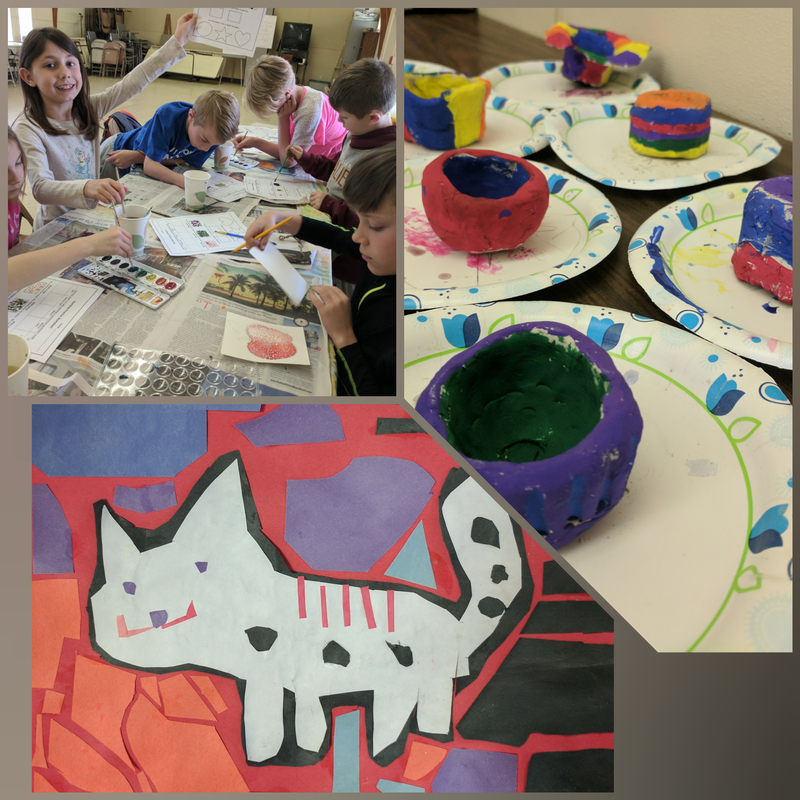 After that, students explored African art by making pinch pots from clay and painting them in a traditional manner. At the end of the month, students shifted back into an artist focus by investigating Georges Seurat and Pointillism. Students were excited to go from large and basic forms of art to art that is literally composed of dots made from the tip of a paint brush. 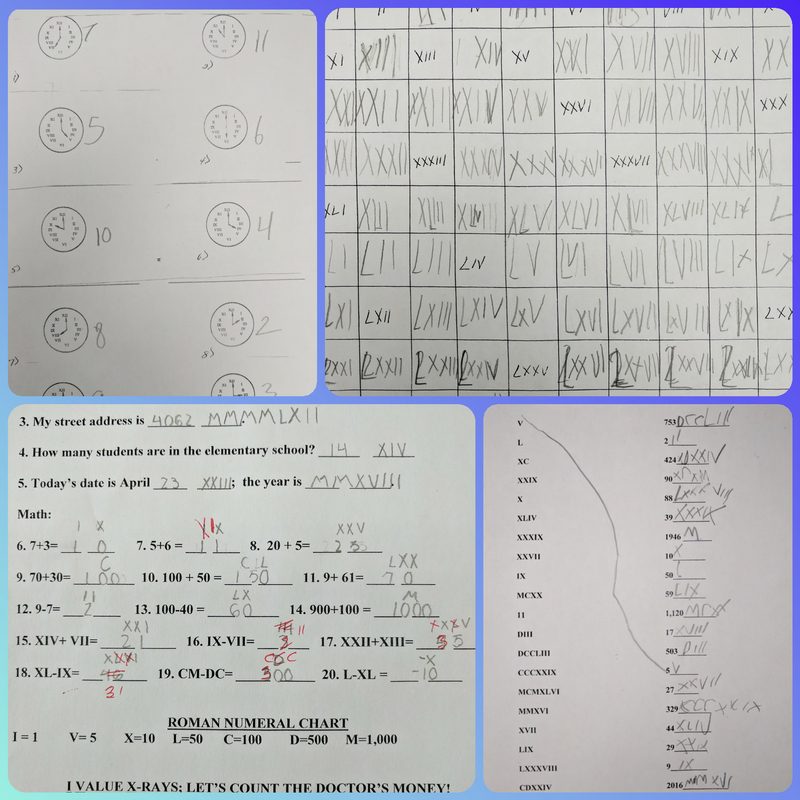 In Latin, students have been using what they have learned about Roman numerals earlier in the year and applying it to everyday situations. This included writing their age in Roman numerals, their street address in Roman numerals, and numbers 1 to 100 in Roman numerals. In the picture, students were telling time in Roman numerals, as well as doing basic math in Roman numerals. Alongside this, students are preparing for a Grandparents Day performance, complete with well known characters and student made props. 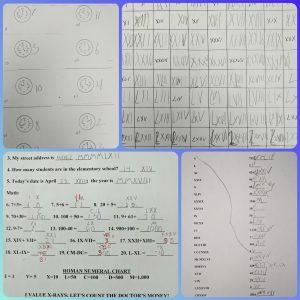 The students loved using the ancient and often overlooked Roman numerals in everyday life, and have carried over this ability into writing the date on their work plans in Roman numerals. In Music, students have been zealously practicing their recorders in anticipation for Music on Thursdays. By this time, every student has a plethora of belts dangling from their recorder in honor of the songs they have mastered. 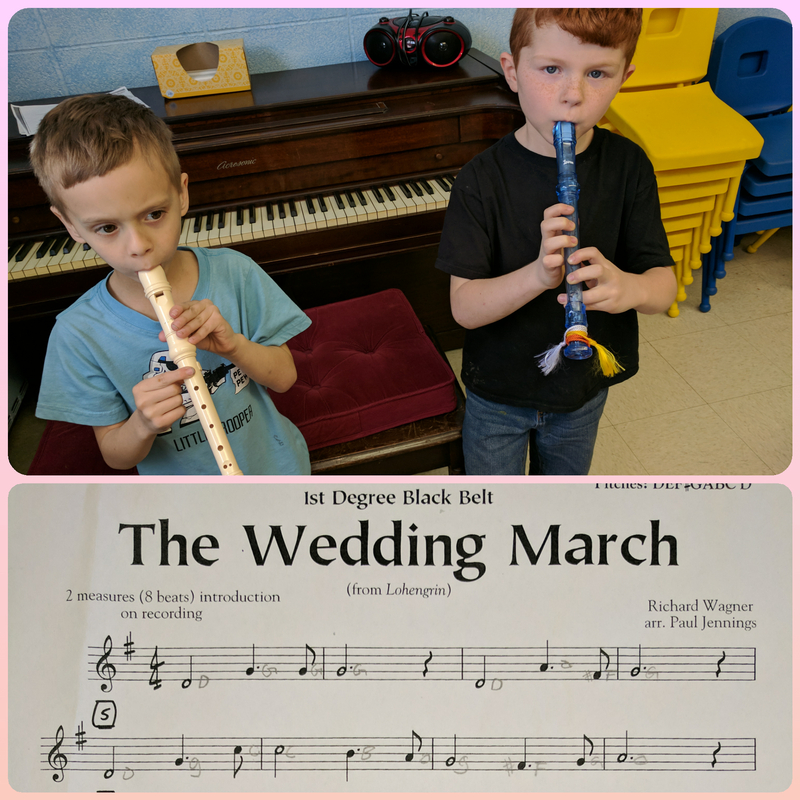 In the picture, two students practice playing their recorders during a work period in effort to master the song they are both working on. Practicing the same song together helps students get the timings right, as well as an opportunity for peer feedback. In class, students have also been practicing playing their recorders along with pre-recorded music. This also has the same effect on their timing and rhythm. April came jam-packed full of school events and weather changes. In between all of this, students explored different cultures and art techniques, learned new skills that date back to 300 C.E., and learned to play an instrument in sync with each other and with pre-recorded music. We can’t wait to explore what is in store for the next month’s journey in Art, Latin, and Music.